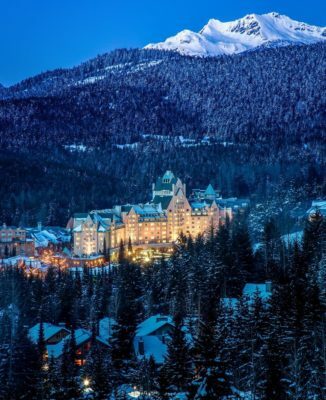 Nestled at the base of Blackcomb Mountain, The Fairmont Chateau Whistler resort defines mountain luxury in the heart of Whistler, British Columbia. With true ski-in and ski-out convenience and an on-site, 18-hole Audubon-certified golf course, the classic elegance of this landmark Chateau offers a modern alpine setting for unsurpassed guest service, exceptional dining and full resort amenities. 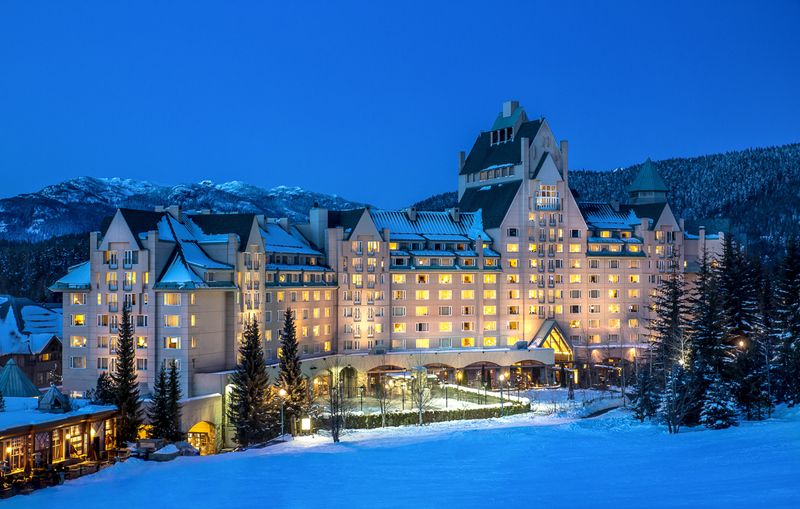 Each of the 539 guest rooms and suites features a majestic mountain or village view, with classic chateau charm. For the ultimate in luxury accommodation and dedicated service, Fairmont Gold is Fairmont’s exclusive lifestyle hotel experience. Throughout the resort hotel, restaurants and lounges offer authentic, fresh menus and distinctive experiences. Chose from fine dining, fireside fondues to gourmet picnics to-go. The fully equipped Health Club offers an oasis of serenity featuring fitness center, whirlpools, eucalyptus steam rooms, indoor and outdoor swimming pools, sauna, tennis courts and daily yoga classes. Since the chateau first opened its doors in 1989, it has enchanted visitors with hospitality, keen service, and world-class amenities. 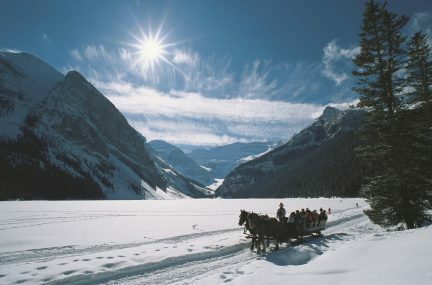 Dashing through the snow is all the more, well, dashing, when one partakes in a sleigh ride amid perfectly exquisite scenery (with a warm drink in mitten-clad hand).